Well-Fit Triathlon and Training in Chicago is one of our oldest clients. We have both been in business for more than fifteen years. It’s been exciting to watch as Well-Fit transformed from a simple triathlon training business to include group classes, personalized coaching, and a training facility with many membership options. 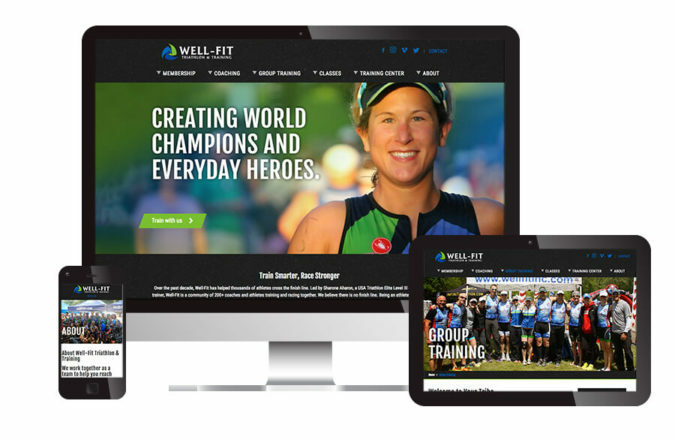 This is the third web site we’ve designed and built for Well-Fit. The first was a site that we built using DreamWeaver templates creating static HTML files. This was before WordPress or other content management systems. The second site, which was live long past its freshness date, was built using a CMS that an outside developer coded and was clunky and inflexible. Most recently, we rebuilt and redesigned their site to make their complex offerings understandable, and their high-level of expertise and energy, tangible. 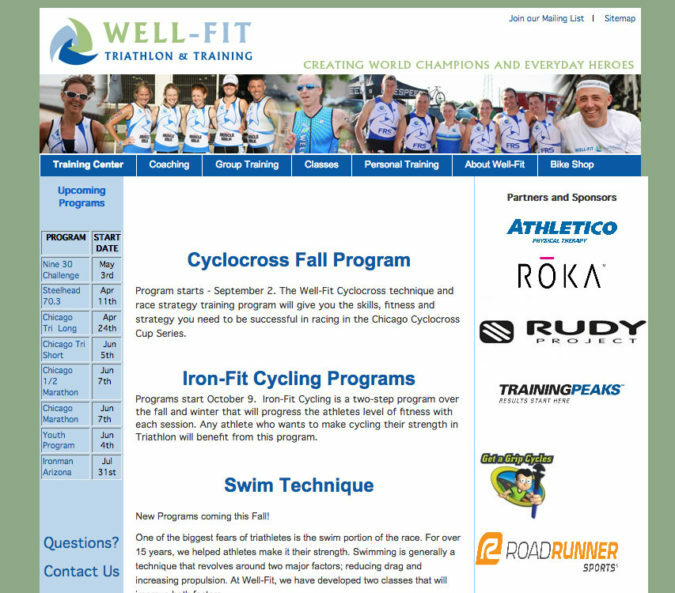 Because they offer many different ways that people can become clients—group training packages, individual coaching, facility memberships, classes and more—we spent a lot of time up front figuring out the best way to showcase their offerings. With the mega-menu and better organized content, the site is more understandable for prospective clients and easier for existing members to sign up for programs. The graphically rich site uses photography extensively in banner images and feature images to raise the energy and intensity of the web experience. It was also important that the site be easy for Well-Fit staff to update. We tried to automate as much as possible so that updates could be made with the least amount of effort. Our custom-built WordPress theme automatically features new programs on the home page, without them having to post again on the home page, for example. We spent considerable time customizing the admin panel of WordPress and then providing a detailed user guide and training. Didn’t highlight information in an attractive way. Upcoming programs were crammed into that left sidebar. Felt heavy rather than energizing because it was type-dominated with small pictures. Harder to maintain because of duplicate work necessary to update the home page. 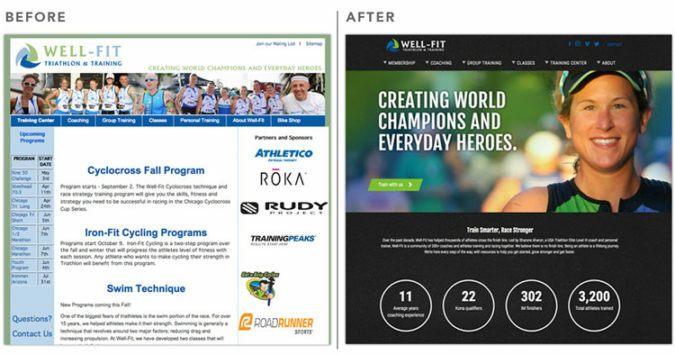 Once a new program was added to an interior page, the Well-Fit team had to go back and add it again, with a link, on the home page. As with most things, styles in web design change as new technologies are introduced. I feel confident that this latest iteration will take Well-Fit through the next few years and we’ll remain pleased with our work as well!